The story of the Seelbach Hotel dates back to 1903. It began when the Seelbach brothers, who were recent immigrants from Bavaria, decided to open a luxury hotel in downtown Louisville that would capture all of the old-world elegance of the European hotels they had fallen in love with in their childhood. They decided on a Beaux-Arts Baroque style and imported materials from all over the world, including marble from Italy, bronze from France, table linens from Ireland, and exotic wood from the West Indies. The hotel took a couple of years to construct but was an instant success, and as of today, remains one of Louisville’s greatest landmarks. Among the Seelbach’s famous guests were Al Capone, F. Scott Fitzgerald, Elvis Presley, Robin Williams, and John F. Kennedy, along with at least 8 other U.S. presidents. 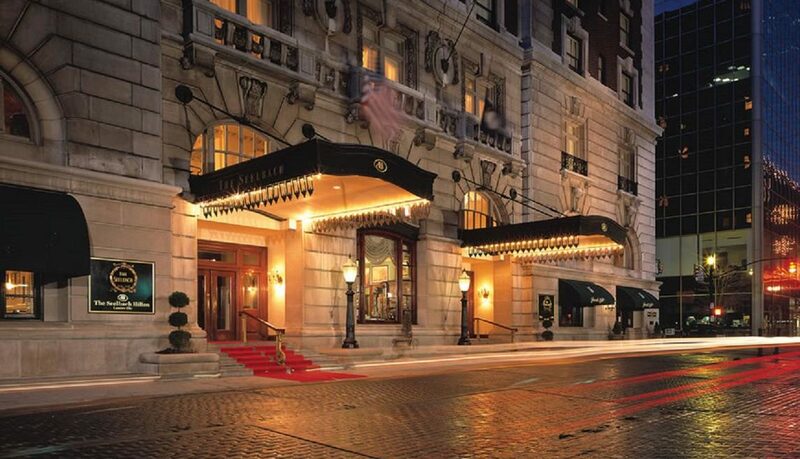 Parts of the Paul Newman film The Hustler and the 2013 version of The Great Gatsby were filmed at the Seelbach, and the iconic wedding scene of Fitzgerald’s classic American novel that inspired the movie was set at a hotel conspicuously called the Mulbach. Northeast entrance to the Seelbach Hotel. 4th Street and W. Muhammad Ali Blvd. Fast forward about 115 years, to late June of 2018 when Precision Property Measurements was contacted by John T. Campo & Associates, Inc., a full-service architecture and interior design firm based out of New Orleans, about helping them with a major renovation of the Seelbach. Campo Architects had recently been awarded the contract as lead consultant for the Seelbach renovation’s Concepting Phase and was looking to secure a reliable partner for an As-Built Survey of the hotel. 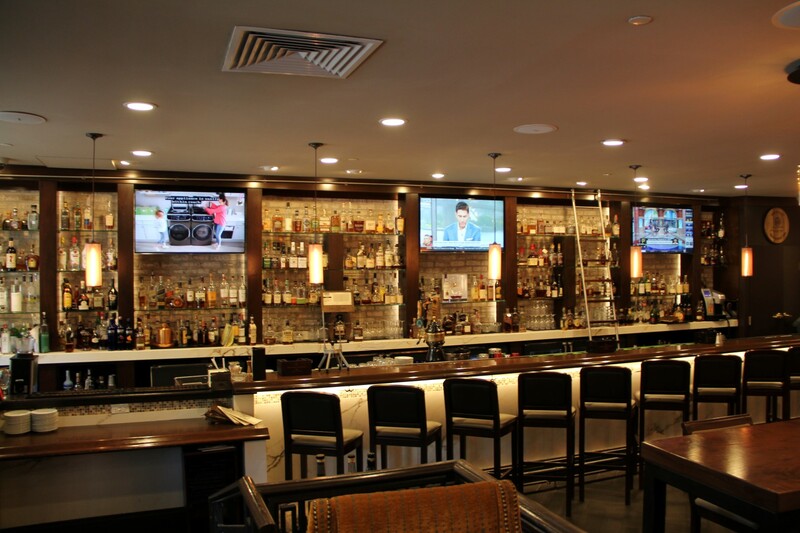 They had previously worked with PPM through a Construction Manager on the Fairfield Inn & Suites Renovation in New Orleans, and found our services to be top-notch. On smaller projects, Campo had sometimes done their own As-Builts or used a small local firm in New Orleans. But this project was different. 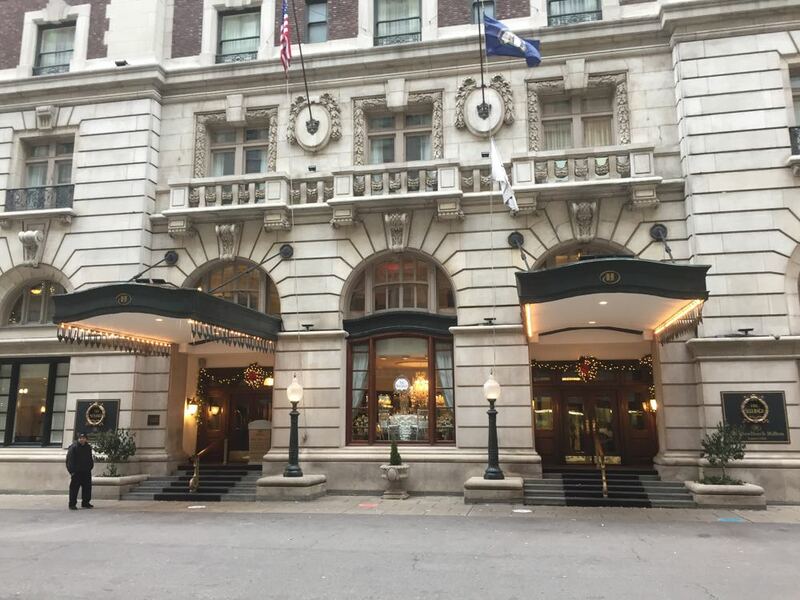 The Seelbach hotel has 11 floors across 5 interconnected buildings, 321 guestrooms, 32,000 square feet of meeting space, and 2 subterranean levels. Campo wanted a pretty detailed scope of work including Floor Plans, Reflected Ceiling Plans, Electrical, and Exterior Elevations. For a project of this size, Campo needed an As-Built partner with a proven track record of success on large, highly-detailed projects. In addition to PPM, Campo also contacted 2 other As-Built surveying companies for a proposal. The whole process took almost a month, and then in late July we got the call – PPM had landed the job! It was our expertise with hotel surveys, our detailed project timeline, and impressive reputation that encouraged Campo to hire us, and needless to say, we were beyond honored to help with the renovations of such an iconic Louisville building. For the Seelbach Hotel, we brought the same integrity and meticulousness that we bring to all of our projects – just to a larger scale. First, we made a detailed project plan and started communicating with the Hotel management immediately, to make sure everyone was on the same page. Campo wanted all of the As-Built drawings delivered by August 31st, so we laid out our project schedule to meet this deadline. Our survey team took to the beautiful Seelbach Hotel in early August and began their work, using laser distance meters for all of our measurements to make sure we got the most precise results possible. We had 2 primary surveyors onsite for 4 weeks who oversaw the entire project and made sure our field crew was working up to the high standards we require. We also added 2 additional surveyors for a week near the end of the project, in order to make sure we were able to meet our promised delivery deadline. 90% of the AutoCAD drafting we did for the project was completed onsite using laptop computers, which allowed for instant verification of all measurements before moving on to the next area of the hotel. This attention to detail and patience with all of our drawings is so important to our customer’s peace of mind. By drawing on-site, we can double and triple check our plans with the room’s actual measurements. This means that the architect gets the most accurate drawing possible, and we don’t have to come back to the site to remeasure. Finally, we captured over 7,000 photos of the Seelbach’s extensive layout, which was quite a lot of material but helped us deliver the high-quality product that Campo Architects was expecting. Before we sent the final As-Built drawings and photos on to our client, PPM’s quality assurance team reviewed all of the 7,000+ pictures and compared them to the drawings to make sure nothing was omitted or drawn incorrectly, and that all the CAD standards and scope details were included and represented accurately. We’re no strangers to running into speed bumps during our As-Built surveying projects, and our work at the Seelbach was no different. One of the aspects of our business that we take the most pride in is our ability to troubleshoot the various challenges that arise during any given project, and all of our surveyors, project managers and drafters have been extensively trained in how to overcome these obstacles. One of the major issues we experienced while surveying the Seelbach came from the highly unique layout of the hotel guestrooms. Out of the 321 total guestrooms, there were over 100 different floor plans, which is the most, by far, that we’ve ever encountered. Most hotels only have a few different room types, and the floor plates stack from level to level. 100 different guestroom layouts meant that each room had to be thoroughly inspected and accurately measured to capture its unique layout. When you add in the highly ornate architectural details inherent to a historic building like the Seelbach, it all added up to a lot of custom work on the As-Builts. To mitigate any potential delays, our team pulled 20 hour shifts and worked through the weekends to finish up as soon as possible. Another challenge, common to any hotel or place of business, was the constant flow of guests and employees. We take great pride in the abilities of our onsite team members to work with and around people who are living and working in the properties we measure. As you can imagine, the Seelbach is consistently busy, filled with hundreds or even thousands of guests and staff every single day. This required quite a lot of coordination between hotel management and our surveyors to make sure that we were completing our work in a way that was least intrusive to their guests and operations as possible. Developing a great working relationship with the Seelbach staff was the first step in accomplishing this, and our team really went out of their way to make sure that all of the hotel’s employees felt comfortable approaching them. Not surprisingly for such a legendary hotel, the entire staff was incredibly friendly and helpful throughout the project. Some of them even gave us a hug when we left for the last time. Though we faced a few challenges in this project, I think that we handled them with a lot of professionalism, and above all, made sure that we were communicating any changes in plans with our client while finding the best way to work around these issues. 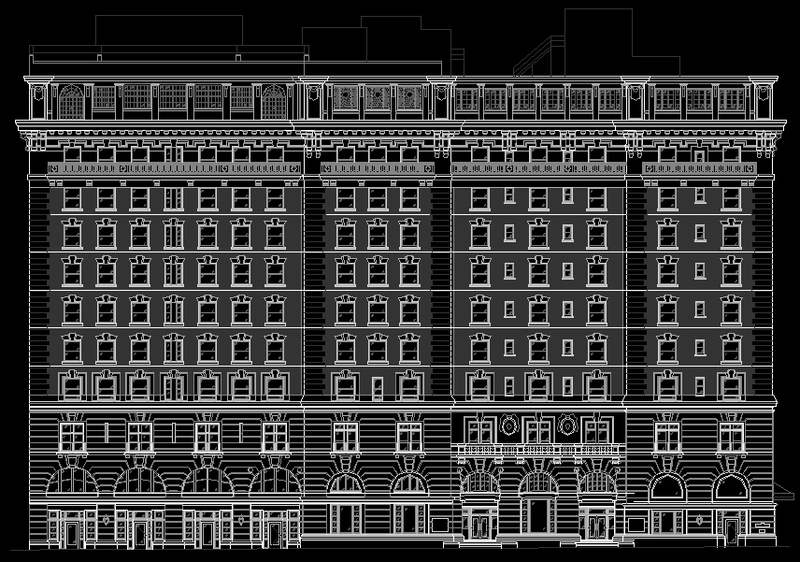 Exterior Elevation of the Seelbach Hotel along 4th St.
After over 650 hours of on-site surveying, drafting, quality assurance, and project management, we delivered the Seelbach As-Built survey project to Campo Architects. Campo was extremely pleased with the professionalism, detail, and quality that PPM delivered. Kerry Soniat, who is Campo’s Project Architect for the Seelbach, said, “Using PPM allowed Campo to manage our time efficiently and focus on more important design priorities for our client. We were impressed with the professionalism, timeliness and team efforts received from PPM. We look forward to working with PPM again in the future.” It was extremely gratifying to receive this positive feedback after all of the hard work and dedication we put into the project. Now, Campo is in the process of moving on to the next phase of the Seelbach project, which involves a detailed renovation plan for the guestrooms and common areas based off of PPM’s As-Built plans. These design and construction drawings will be much easier for Campo to generate with confidence because of our accurate and detailed As-Builts, and will be instrumental in helping write the Seelbach’s next historic chapter. The Seelbach bar: The bourbon selection was pretty amazing and their signature “Lady in Blue” IPA, named after the ghost that haunts the 8th floor, was VERY tasty. Larry, the concierge and hotel historian, was awesome. He has tons of great stories about the hotel after 30 years working there. He has even written two books about the Seelbach – and we left with a signed copy of one of them. One of our surveyors set off the fire alarm after one of the kitchen staff convinced him that the door was no longer armed. That was fun. The Seelbach Hotel was one of the most extensive and unique projects we’ve completed, and it was such an honor to be part of a nation-wide team who were helping to restore one of the most historic hotels in the country. And thanks, as always, for reading! The Seelbach Bar. A perfect place to relax after a long day of surveying. 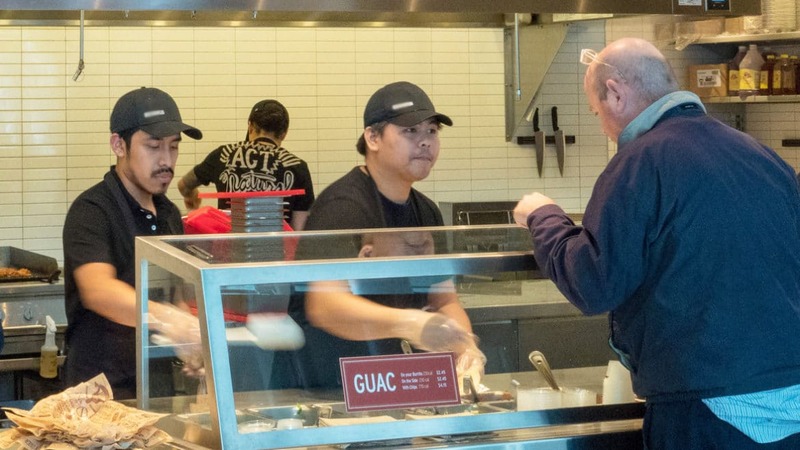 When a large quick service restaurant chain wanted to remodel 550 stores in a year, they chose PPM as their As-Built partner. By quickly understanding their needs, figuring out their preferred communication rhythm, and deploying our nationwide network of surveyors, we were able to deliver all their plans on time and on budget. We first heard from our new client in June of 2017. They were on the hunt for a reputable As-Built partner to capture all of the physical store information needed for some upcoming strategic initiatives. We worked with several members of their internal architecture and construction teams over the next month to determine, prioritize and document their requirements for this project. (1) They were looking to remodel their kitchens in order to expand capacity for preparing carryout and catering orders. As part of this initiative, an update to the area used for their digital ordering system was also required. (2) The client wanted a comprehensive update of their physical store information for facilities management and other future store planning projects. Upon learning how they intended to use the information collected on the site surveys, we worked with the client to develop a detailed scope of work. The architectural As-Builts included a detailed Floor Plan with Kitchen Layout, Reflected Ceiling Plan, Roof Plan, and Electrical Plan. They wanted us to provide an electrical line diagram as well (which included tracing and mapping of their panel schedule to show the connections between each individual outlet to the corresponding circuit on the panel). For photography, we agreed to provide both still photos as well as a 360-degree “Virtual Walkthrough” of each location using the Matterport platform. 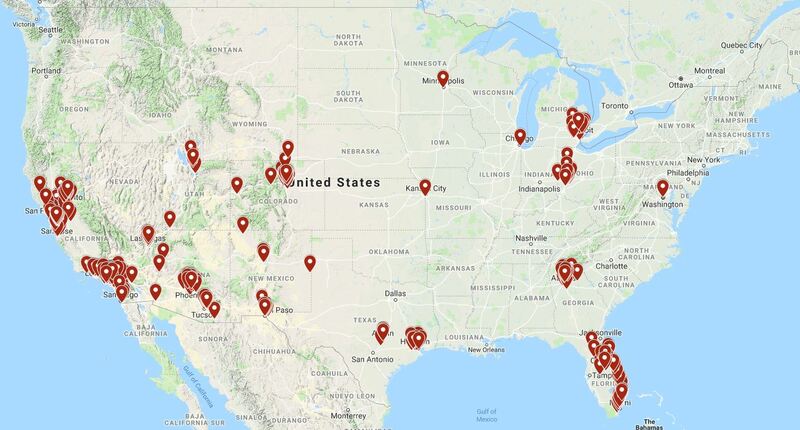 About 6 weeks into these discussions, our client was gaining confidence in PPM’s capabilities and decided to test us with an initial batch of 33 locations in California, Colorado, and Texas. They wanted the surveys completed in 10 weeks, between August and October of 2017, so we developed a schedule to meet this deadline while also allowing for several rounds of feedback on the Deliverables to make sure the final product was exactly what our client needed. The company was very impressed with our ability to deliver on schedule, as well as our service, communication, and extremely precise As-Built drawings. After further internal planning through the end of the year, they awarded us 334 locations in January of 2018, and we were off to work. PPM ended up surveying 542 locations for the client, all over the U.S.
Our first order of business was to create a program schedule. We were provided the list of 334 locations all over the country and a deadline of June 15th to deliver all of the surveys. With a few weeks of time to ramp up, this meant we would need to average about 20 completed surveys per week. To complicate the logistics a bit more, the client had different deadlines within these 4 months for each of the 6 geographic regions in which the stores were located. The client allowed us to determine the specific order and schedule to meet the deadlines, which was extremely helpful as it enabled us to group the surveys together by location and proximity, allowing for more efficient travel and the flexibility to work with each surveyor on a schedule that best fit their availability. Second, we had to get the resources in place to handle that kind of volume for a sustained period of time. This required field surveyors, drafters, QA staff, and dedicated project management. Over the course of the program, there would be as many as 50 different people that worked on the surveys in one capacity or another. In additional to human resources, we also had to make sure that we had the specialized equipment needed to perform the survey at every location, including surveying tools, Matterport cameras, and electrical testing gear. Finally, we had to develop a scalable and repeatable process that would consistently deliver a high-quality As-Built product that met the client’s exact specifications for every location. We had already worked out most of the process in the pilot round of 33 locations, but now with a higher overall volume and weekly output, we had to tighten things up even more. For faster and more detailed data collection, we used a 3D laser scanner on approximately half of the locations, and the resulting “point cloud” data that we captured was converted into highly accurate As-Built plans by our CAD teams. For the other half of the restaurants, our professional survey crews used laser distance meters and laptop computers onsite to capture, record, and draw the As-Builts. Prior to delivery to the client, every plan was extensively reviewed by our QA team here in Long Beach. They compared each plan to the digital photography to make sure nothing was missing or drawn inaccurately. The final step was to place the drawings into the client’s CAD template and make sure we met all of their specific standards and preferences. All of this planning and teamwork paid off – we were able to deliver all 334 surveys before the requested deadlines. Our client rewarded our strong performance by giving us another batch of 175 locations in early July. This batch came with a September 28th deadline, which meant that we would once again need to maintain a delivery pace of about 17 locations per week. 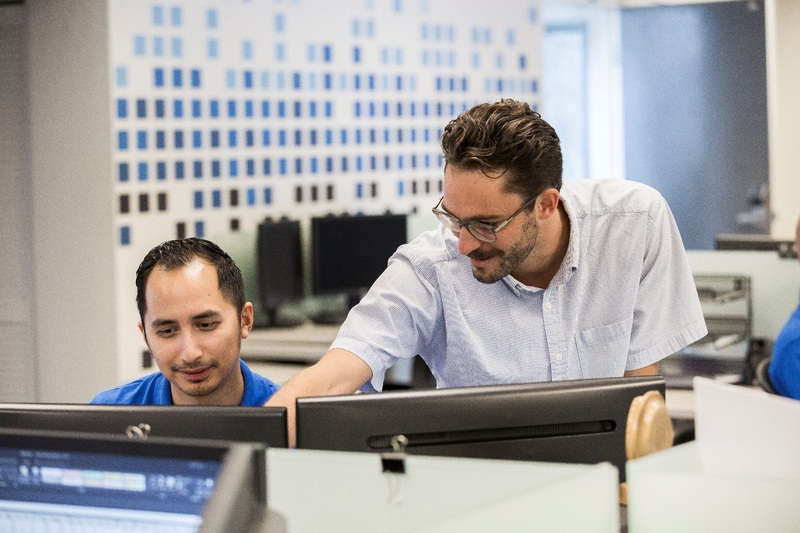 We streamlined a few more parts of the process including field scheduling and QA, and we once again delivered all of the surveys on-time and to the client’s exact standards. Even a single As-Built survey can run into unexpected challenges. When you’re surveying 500+ locations, you better be prepared for a few surprises, changes, and other potential obstacles. This case was no exception. The first challenge was the aggressive program timeline. We didn’t know how many locations we would receive and what the deadline would be until the day it arrived in my email. The timeline was so important to our client that we wanted to be 100% certain we would be able to meet every deadline. This commitment to timeliness was so critical that it actually caused us to make the difficult decision to turn down an additional 30 locations in the final batch. When we crunched the numbers we realized that we just couldn’t make it work within the deadline, so we stuck with 175. Our client was very pleased that we were honest about our capabilities and didn’t over-promise. This program required that we meet a consistently high pace, often approaching 20-25 deliveries per week, with a highly detailed, labor-intensive scope of work. Because we didn’t want the process to come down to the wire, we front-loaded the schedule with field surveys, which allowed more time for our quality assurance team to inspect everything and make any necessary revisions before it was too late. The additional resources that the program required, both employees and vendors, was also a major challenge. With this number of people, we created custom project management tools to make sure the status of every location was tracked, that work segments were clearly assigned, and that the client was always updated with the survey status of each location. Another challenge was working in the restaurant environment. Our client’s stores got really busy around 11:30 AM and stayed busy for most of the day. Because of this, we had to complete the surveys before business hours, meaning we would typically start around 3 or 4 AM so that we wouldn’t interfere with their customer service and could finish up with most of the interior work before the doors opened. As a result we were able to deliver all locations on time with a minimum amount of business disruption. The PPM team reviews an As-Built survey prior to delivery to the client. PPM is incredibly proud to have been a part of this strategic initiative for our client. By delivering all As-Built surveys on-time and with the exact information required, we were able to help them keep their kitchen remodel program right on track. With a national footprint and an expertise in planning and customer service, PPM is ready to tackle the thorniest of multi-site jobs.